Lightning vs. Revo Snowshoes: What’s The Difference? What’s the difference between MSR’s Lightning and Revo snowshoes? Both of these snowshoes offer outstanding traction, ergonomic shapes, Modular Flotation Tails and excellent durability. However, there are a few key advantages of each that may help sway you toward one model or the other depending on the experience you’re seeking and your performance priorities. Meant to be a solution for fast-and-light travel, the Lightning frame takes its cues from traditional frame-and-decking snowshoes. Laser-cut from a single blade of aerospace-grade aluminum, its frame delivers absolute, edge-to-edge grip with minimal weight. Mounted to this frame, its nylon decking is made of ballistic-grade fabric that maximizes its durability while maintaining the ultralight performance of this snowshoe. If every gram counts but traction is still critical, this is your snowshoe. The Lightning features the most advanced traction design on the market. With aggressive teeth lining its perimeter, it provides grip 360 degrees, offering excellent stability on ascents and traverses. Moreover, the Lightning is MSR’s only snowshoe to boast not one, but two toothy crossbars on its underside. These additional points of contact increase surefootedness in challenging conditions like hard-packed snow and ice, and during downhill travel. 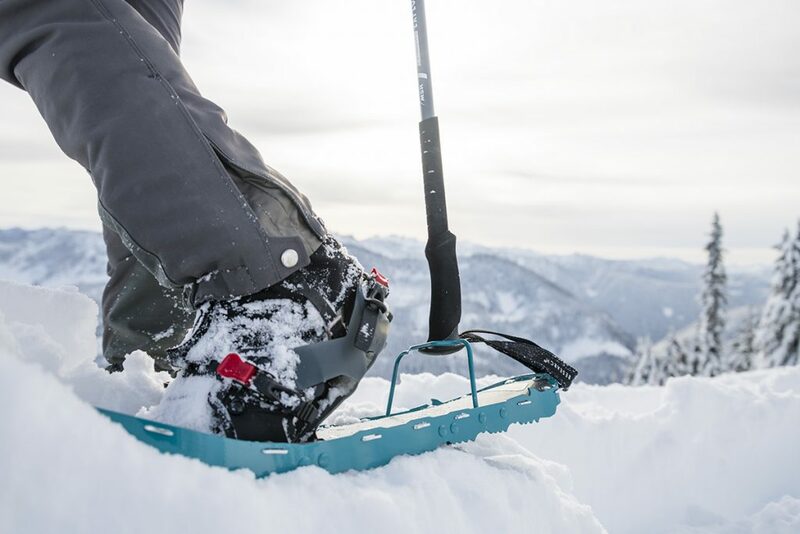 Finally, the Lightning’s construction affords a quieter snowshoe experience than the solid plastic platform of the Revo models, letting you savor the peace and quiet of the winter landscape. Light and aggressive, the Lightning snowshoe is a great choice for multi-day traverses, single-day volcano summits and fast-and-light expeditions. It’ll keep you moving quickly and efficiently, with confidence behind every step. Watch to learn more about the Lightning Ascent here and the Lightning Explore model here. The latest evolution of MSR’s legendary Denali Classic snowshoe, the Revo’s signature advantage is its ultimate durability. 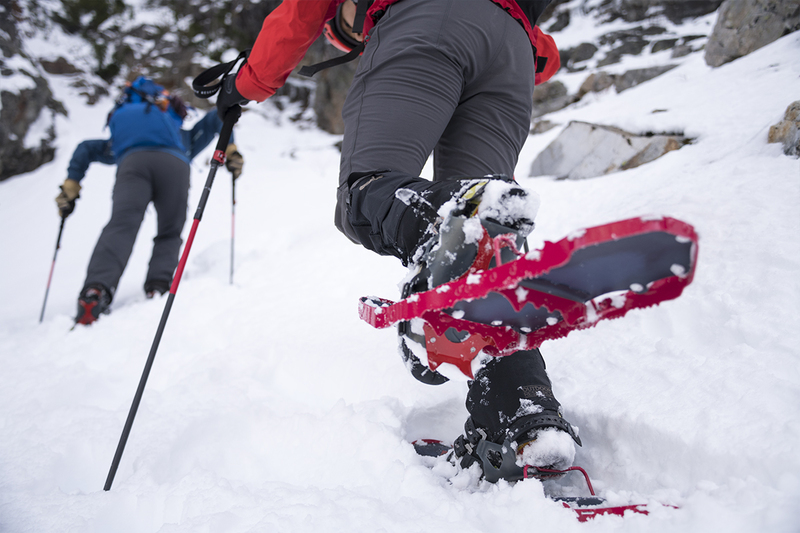 If rocky terrain dominates your snowshoe adventures, the Revo is a smart choice. Its rugged plastic deck is made of a polymer that’s specifically formulated to be highly impact resistant and offer superior strength at low temperatures. Needless to say, this material can combat sinister rocks better than even ballistic-grade fabric can. The extra fortitude doesn’t stop there. Lining the perimeter of this deck are traction rails similar to the Lightning’s and with the same advantages. However, the Revo’s toothy rails are made of hardwearing martensite steel—a very hard steel that’s resistant to abrasion and the deformation that hostile terrain can try to inflict. 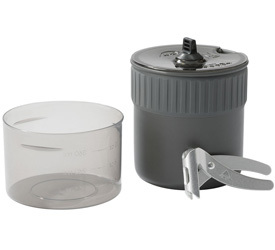 Though it’s built tough, the Revo comes in only about 142 g (5 oz) more than the Lightning in each of its models. The few grams might not seem like much of a penalty if absolute durability is your performance priority. Lightning and Revo snowshoes offer a slightly different feel underfoot. With its rigid, single-piece frame, the Lightning’s platform affords a much stiffer feel. In contrast, the Revo’s plastic deck is inherently more flexible. In addition, its platform is separated from its nose, increasing its torsional flex. This allows the Revo to provide greater purchase into the contours of the terrain. While neither experience is necessarily better, some people prefer the dynamic feel of the Revo’s flex over the Lightning’s stiffness as they hike. The Revo’s rock-solid design makes it a good choice for extended expeditions, early and late season travel when rocky terrain is more prevalent, and snowshoers who are unapologetic to their gear. Watch to learn more about the Revo Ascent here and the Revo Explore model here. The Lightning and Revo snowshoes are available in Ascent, Explore and Trail models. 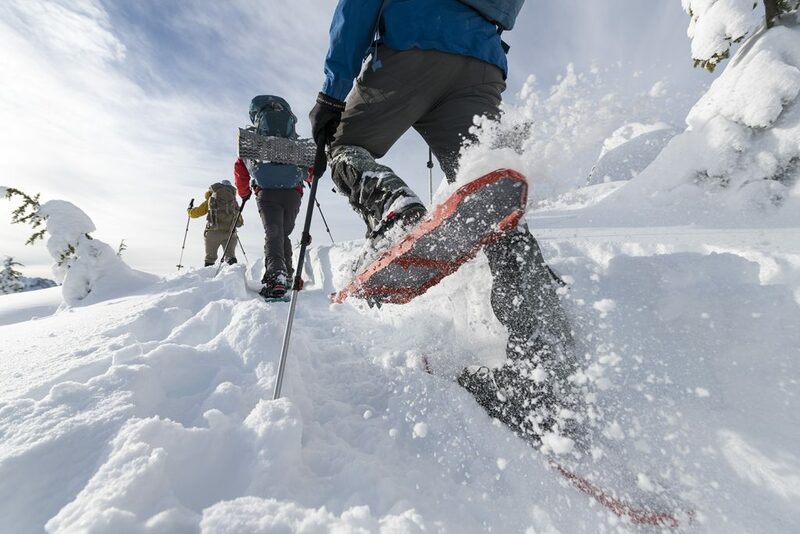 To learn more about how to choose the right snowshoe based on the types adventures you pursue, check out Choosing the Right Snowshoes for Every Adventure.